We are a certified organic CSA and market farm cultivating 5 acres of diversified vegetables and fruit. Each week during our CSA season we supply over 130 households with fresh, local, and nutritionally dense produce. We attend summer and winter markets, source to local restaurants and have several wholesale accounts. We take great pride in our deep commitment to fostering healthy, living soil and living with nature as caring and compassionate stewards. For this reason we practice organic, sustainable and regenerative growing methods. -Egg Shares! Limited amount available. Sign up early to secure your share! -Mushroom Shares! More to be announced! -Maple Syrup in the early boxes! -To limit sign up confusion, we have removed delivery fees. -To encourage on farm pickup, we will be offering a free choice table to all farm pickups. More bang for your buck! -Take advantage of CSA member discounts on our excellent public workshops throughout the season! $5 off all Wellspring workshops for all 20 weeks of the summer box. -Solidarity Share! 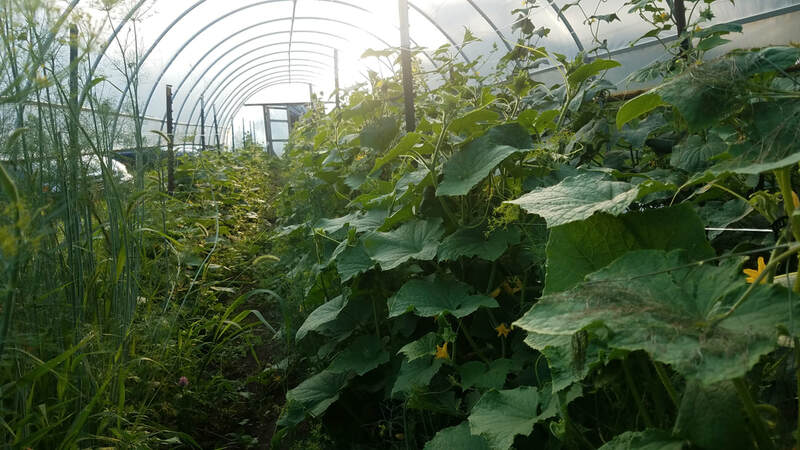 The farm will match your donated dollars to provide shares to underprivileged and underserved families who would otherwise not have access to organic, local food. June 13th is the first summer box! CSA SIGN UP AND DETAILS HERE! Do you qualify for financial assistance to join our CSA? ​We are more than a vegetable operation though! We are a teaching farm that focuses on training future and beginning farmers! We offer immersive educational programming and opportunities such as farm internships, WWOOFing, workershares and community shares.